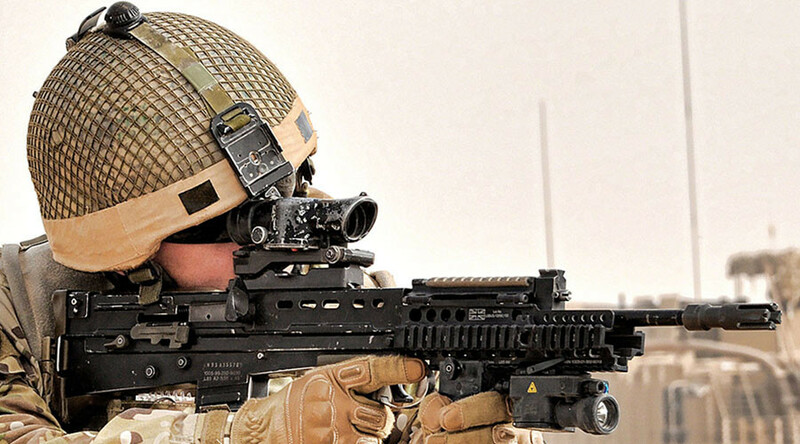 Photos purporting to depict British special forces operating on the Syria-Iraq border are believed to be the first photo evidence of UK troops on the ground in Syria. The pictures show heavily armed troops in patrol vehicles near a recent battle scene. Obtained by the BBC and published on Monday, the photos show several UK patrol vehicles with troops perched atop them and several heavy-duty military trucks in a half-circle, which appear to be watching the perimeter. The photos are believed to have been taken in June in the aftermath of an Islamic State (IS, ISIS/formerly ISIL) attack on the New Syrian Army, so-called “moderate” rebels, around the Al Tanaf base in Syria, which is on the Iraqi border. 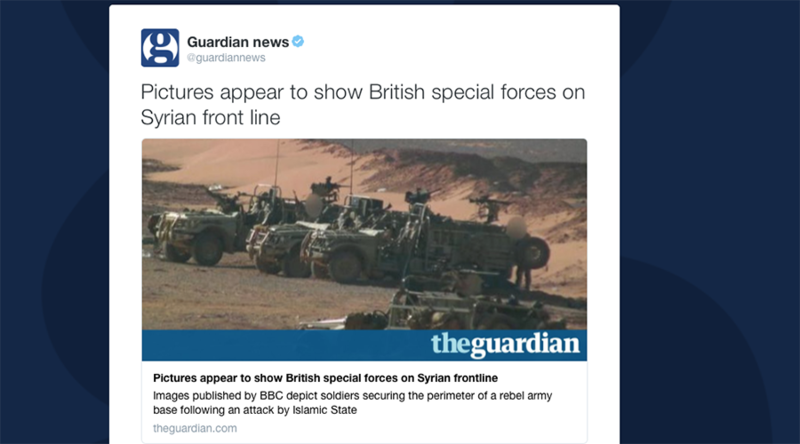 Although the troops appear to be equipped with all manner of heavy artillery and weapons, including sniper rifles, machine guns, and anti-tank missiles, witnesses have said the British forces were there in a defensive role, apparently watching the horizon for signs of a new attack, the BBC says. If the photos are verified, it would be worrying news, however. 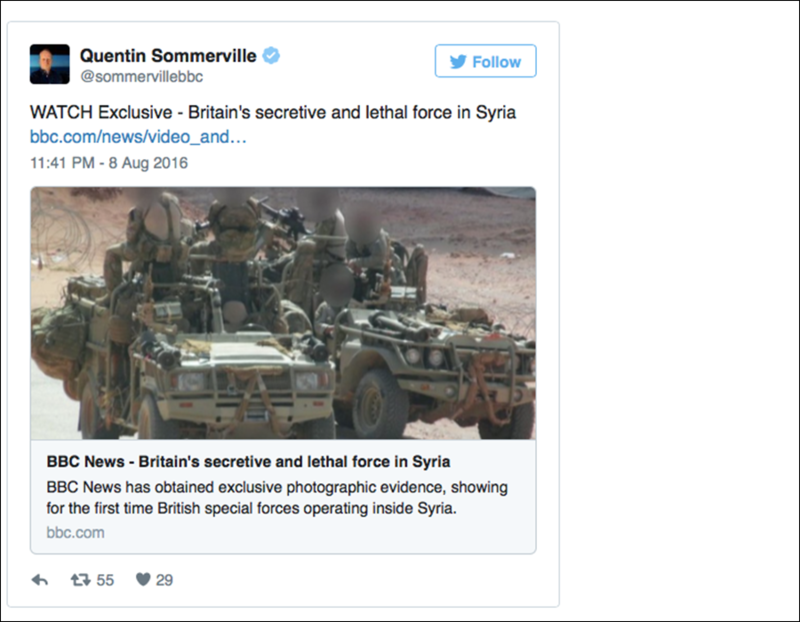 The presence of British troops on the ground in Syria would constitute a breach – yet another – of Syrian sovereignty. No foreign troops except Russian have been sanctioned by Syria’s government to operate within its borders – a point Syrian President Bashar Assad has repeated on numerous occasions. Russian forces have been pummeling IS with rockets since September and achieved significant progress, despite the reports propagated in a smear campaign initiated by parties that have been operating in Syria illegally, without invitation, which have been picked up by the Western media. The Pentagon’s program to train a rebel army capable of driving out IS has already been declared a flop. Despite a seemingly clear-cut mission to unite all local elements opposed to Islamic extremism, the initiative was not able muster a decent-sized force. To make matters worse, plenty of the recruits defected and many of their weapons somehow ended up in the hands of Al-Qaeda and IS terrorists. 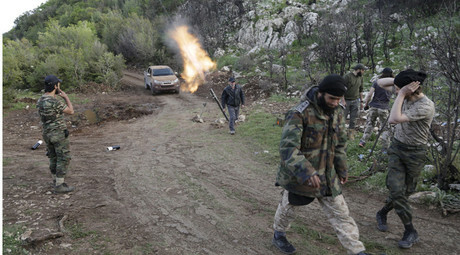 Late last year, a report was made to Congress which acknowledged that, of the proposed 5,000 fighters meant to form a so-called moderate Syrian rebel army, only “four or five” were actually in fighting at the time. The Pentagon’s resistance army failed to strike fear into the hearts of IS, which recently filmed a propaganda video showing one of the US trained fighters being beheading. The Al-Bukamal attack in June ended in the death of four soldiers and the capture of equipment. Reports also emerged at the time that several rebel factions affiliated with the Free Syrian Army (FSA) had switched sides. The previous month, the White House had asked Congress for half-a-billion dollars to help fund its ill-feted rebel program, and in July it was decided that some 560 additional US troops would also be sent over – although theater of operation is to be in Mosul, an Iraqi city that IS captured in 2014. This would bring American troop numbers in Iraq up to 4,650, and more reinforcements were not being ruled out in July.